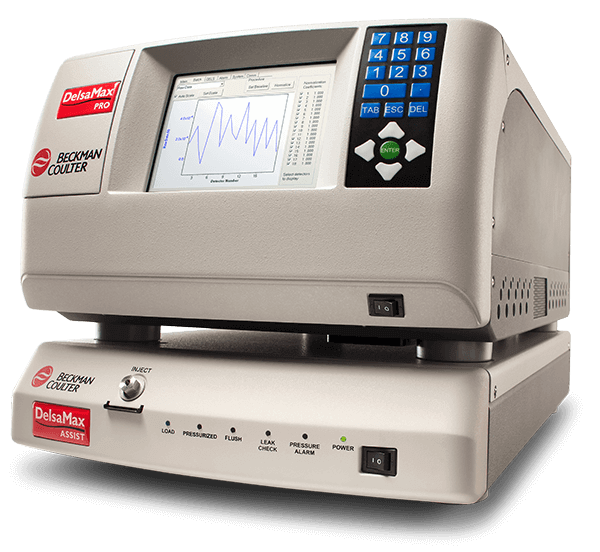 Provides nanosizing of particles in samples as small as 1μL sample volumes. Measures Dynamic Light Scatter and Static Light Scatter from the same sample using 90-degree side scatter detectors. Molecular size is determined by Dynamic Light Scattering (DLS) using an avalanche photodiode with readings requiring as little as 1 second. Using a calibrated quartz cuvette, Molecular Weight determination can be performed using Static Light Scattering (SLS) from as little as 1 μL of sample.